With the advancements in our mobile technology we, as a society have become used to multitasking; having multiple conversations and doing an array of tasks all while still trying to maintain our daily schedules. This habit, for a lot of people, is hard to break, even when their safety is at risk. Distracted driving is causing liability to the person behind the wheel and others on the road. Anything that diverts your attention while operating a vehicle is considered distracted driving. This could be anything from changing the radio station to grabbing something from your back seat. When in control of a motor vehicle, it is imperative that you are fully concentrated on the task at hand or you are at high risk of getting into an accident. One of the largest causes of distracted driving accidents is cell phone use. Texting takes your eyes off the road for at least five seconds. Though that may not sound like a long time, at the speed a car goes on a highway (55mph) that is like driving the length of a football field with your eyes closed. Distracted driving has very disastrous effects. AAA reports around 5,000 deaths a year all contributed to distracted driving. 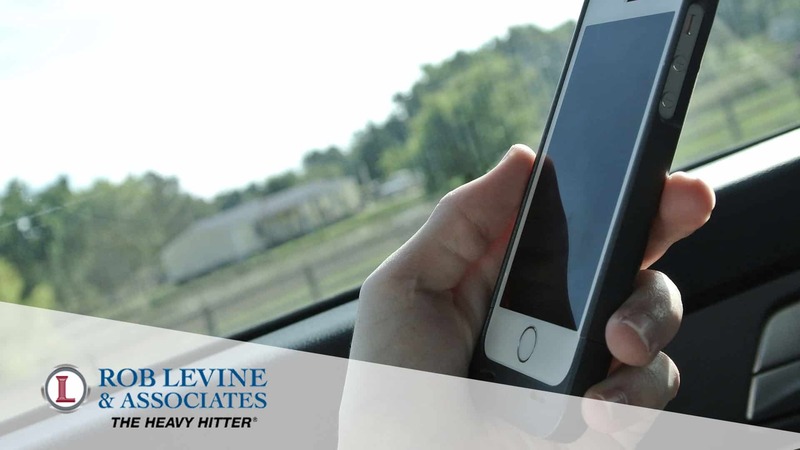 Daily, approximately 660,000 drivers are using cell phones while they are driving; this number does not include the hundreds of thousands of people who are distracted in other ways. It is pinnacle that we work together as a community to help resolve this issue. We must join forces and agree to keep our attention solely on the road while driving. We can do this through setting good examples, educating our youth on proper driving habits, and reminding others to drive safely on the road. If you or a loved one has been injured in an accident and needs legal help, please contact Rob Levine & Associates. Our experienced personal injury lawyers will review your case to help you understand what your next steps should be. Getting legal help can put your mind at ease and let your focus on getting better.